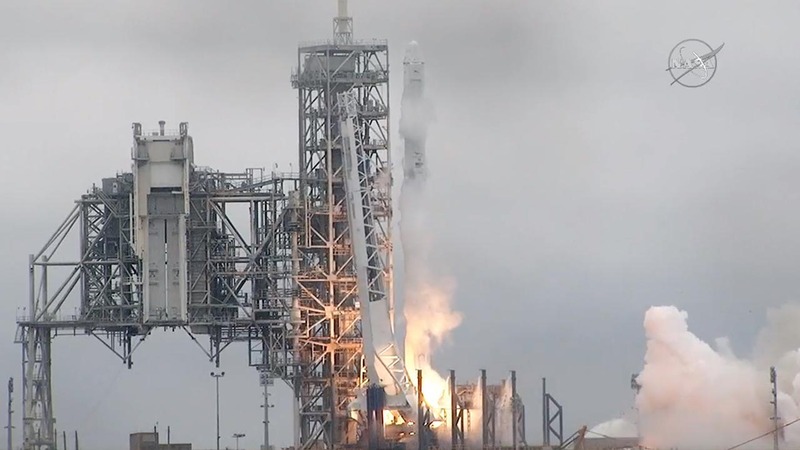 CAPE CANAVERAL, Florida -- SpaceX said Monday it will fly two people to the moon next year, a feat not attempted since NASA's Apollo heyday close to half a century ago. Tech billionaire Elon Musk - the company's founder and chief executive officer - announced the surprising news barely a week after launching his first rocket from NASA's legendary moon pad. The SpaceX moonshot is designed to be autonomous - unless something goes wrong, Musk said. The crew Dragon capsule - an upgraded version of the cargo Dragon - has yet to fly in space. Neither has a Falcon Heavy rocket, which is essentially a Falcon 9 rocket with two strap-on boosters, according to Musk. A Falcon Heavy test flight is planned this summer, while an empty crew capsule is set to launch to the space station late this year. He said there will be ample time to test both the spacecraft and the rocket, before the moon mission. NASA last week announced it was studying the possibility of adding crew to the test flight of its megarocket, at the request of the Trump administration. Such a flight to the lunar neighborhood wouldn't happen before 2019 at best - if, indeed, that option is even implemented. At the same time, SpaceX is also working on a so-called Red Dragon, meant to fly to Mars around 2020 with experiments, but no people - and actually land. His ultimate goal is to establish a human settlement on Mars.